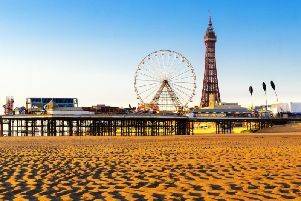 Hundreds of Labour party members will be coming to Cleveleys to raise funds to unseat the MP for Blackpool North and Cleveleys, Paul Maynard. The event is part of Momentum’s Unseat campaign, organised by journalist Owen Jones, and aims to unseat Conservative MP’s in marginal seats. Mr Jones will be attending the event which is being held at The Venue in Cleveleys on August 19. Chris Webb, the Labour parliamentary candidate for Mr Maynard’s constituency, will also attend the rally and will being speaking to the crowds with Mr Jones. Mr Webb (inset) said: “Owen got in touch with me to arrange a campaign day as part of the Unseat project. “The project raises funds to campaign in marginal Conservative seats around the country and follows a succesful campaign in Trafford at the last election. Mr Webb, who says if elected he would be the first Blackpool-born politician to be an MP in the resort, said that Mr Maynard’s voting record in parliament is poor. He added: “His record is not good for our area. Mr Maynard has been the MP for the constituency since its creation in 2010. His majority was reduced to 2,023 in last year’s General Election. Paul Maynard’s office declined to comment on the rally.